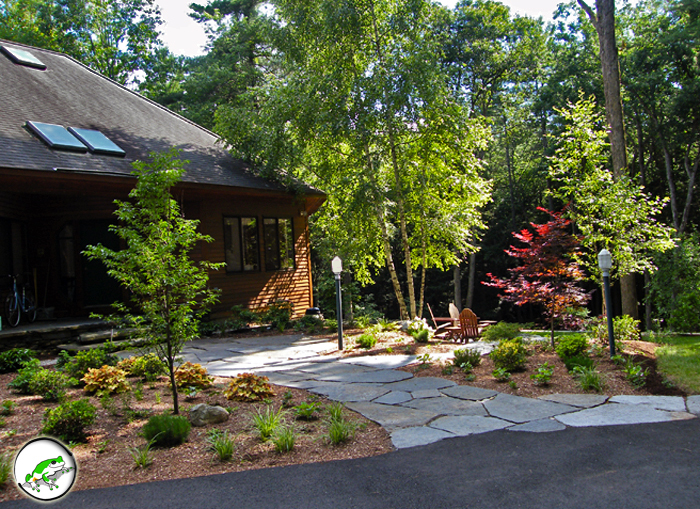 In 2010 Treefrog was hired to design a Site Master Plan for this unique home and its woodland site. 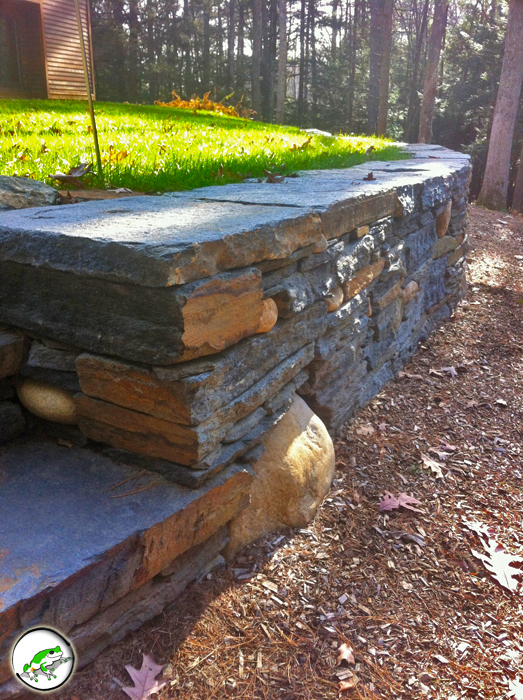 The theme that developed was a Woodland Retreat Threaded with Goshen stone. 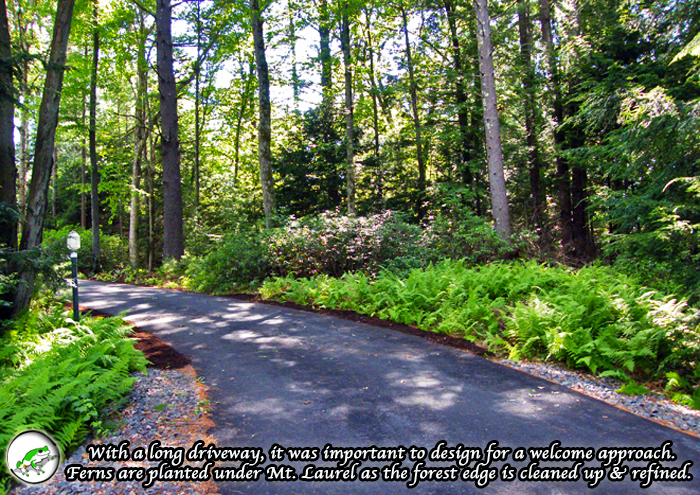 Major assets of the site include a winding brook and a mature hardwood canopy with a developed forest structure. 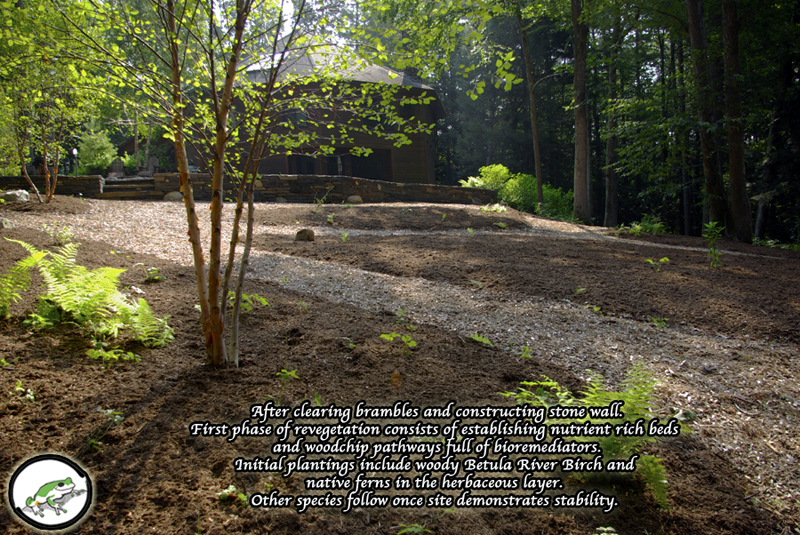 The site was also quite remote, lending itself toward a retreat experience. 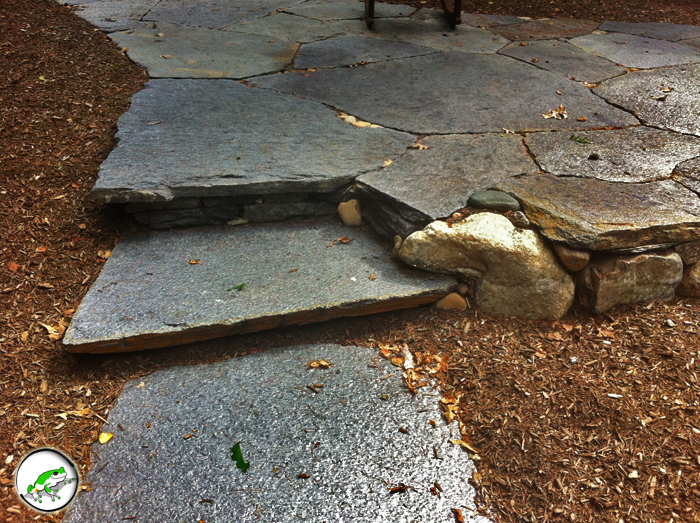 Major challenges did exist however. 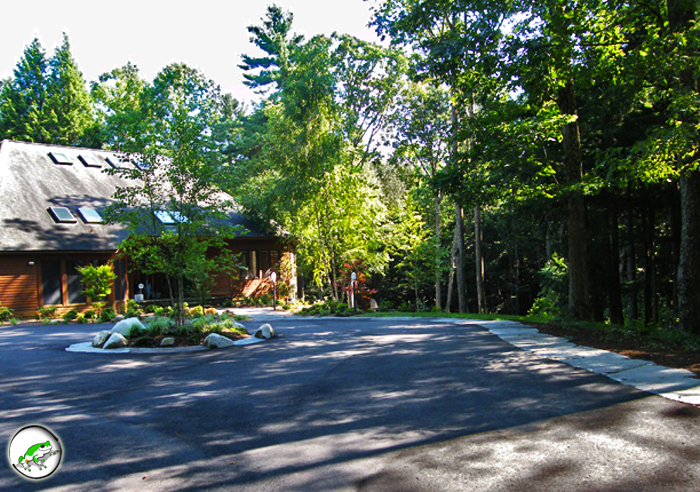 The driveway was long and in complete disrepair. 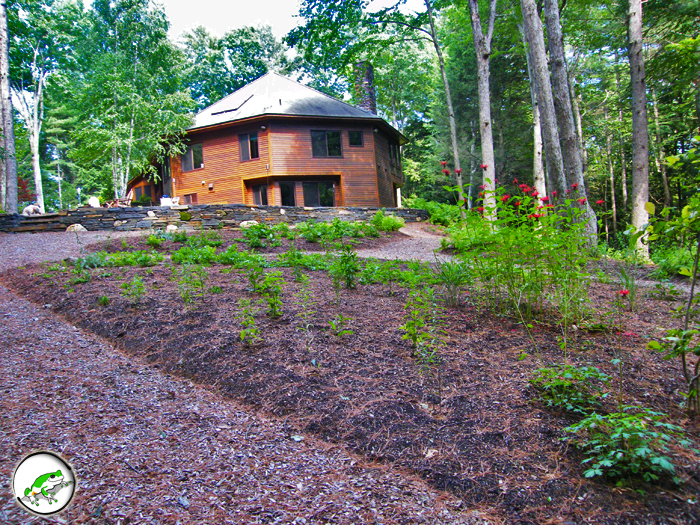 And steep slopes along the driveway and house plot gave concern for erosion. 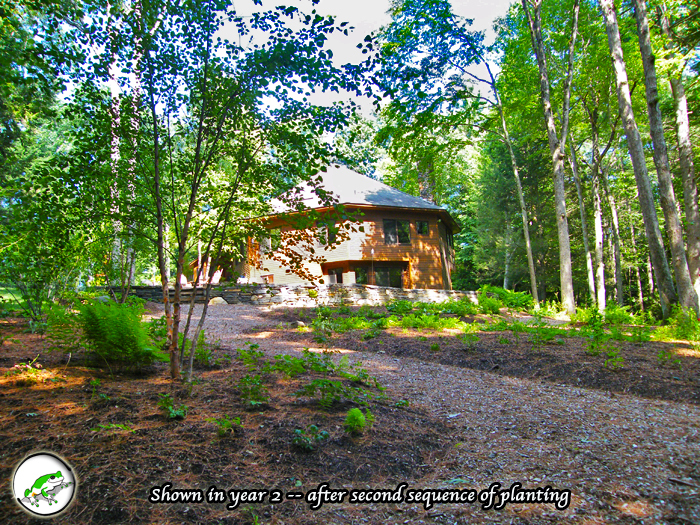 The solution was to redesign the driveway and slopes with maximum vegetation. 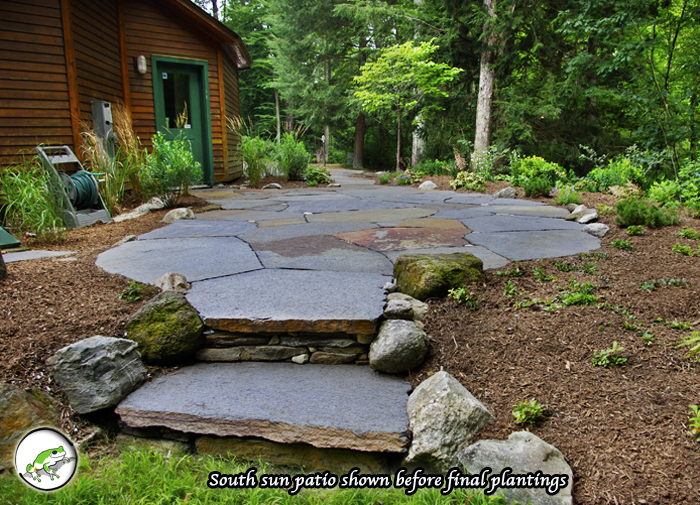 Ferns and ground covers work with drainage systems throughout to retain soils. 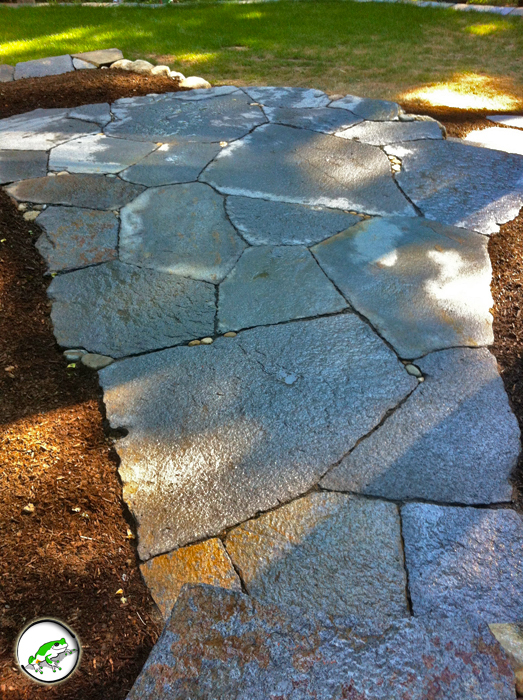 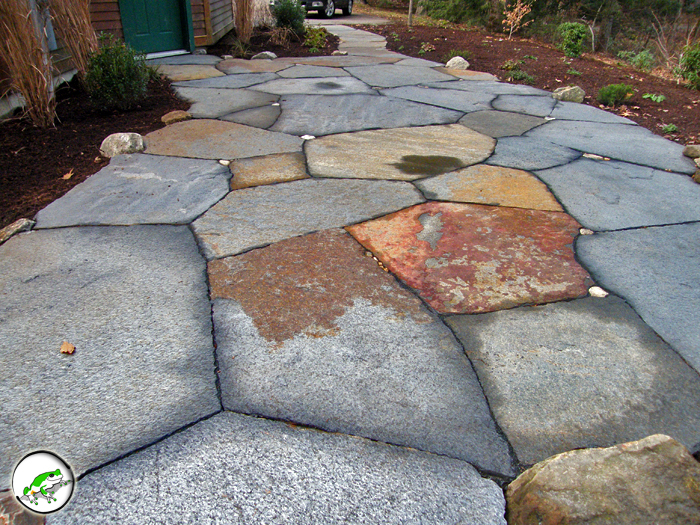 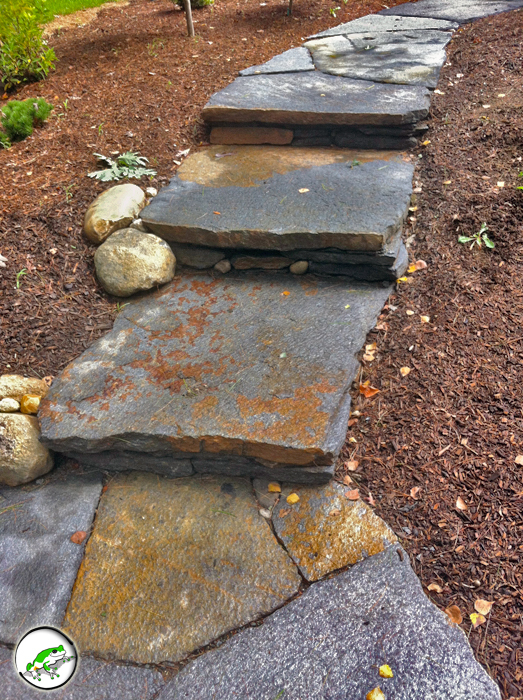 To protect the vegetation, Goshen flagging stone was used as a driveway skirt. 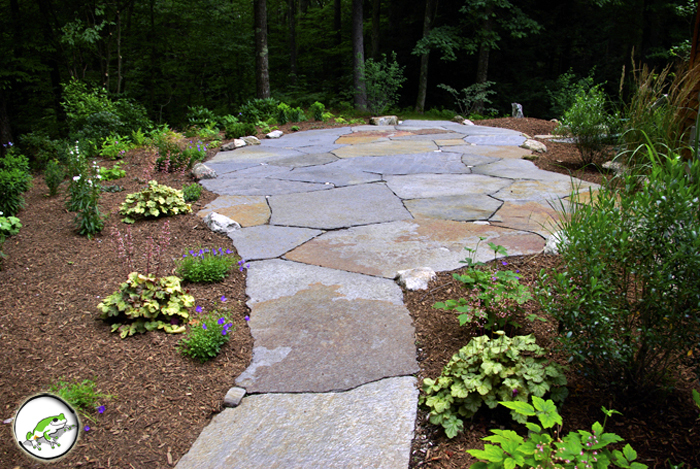 The ferns and stone perform the vital function of stabilizing with unmatched beauty. 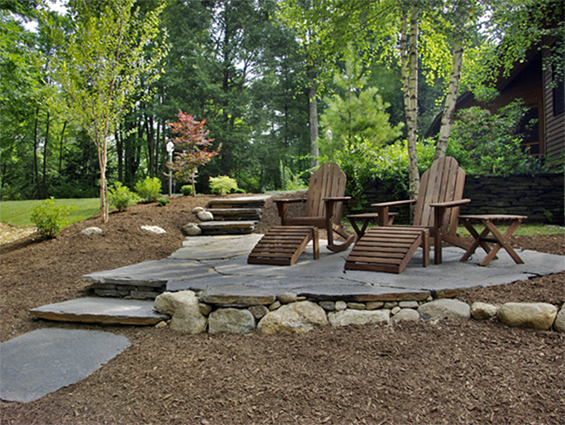 Clients also wished to interact more with the landscape. 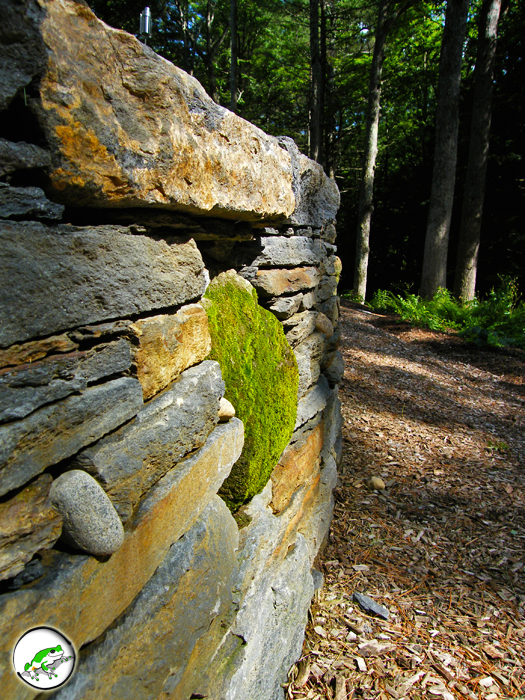 Yet the forest’s edge had long surpassed its original intent. 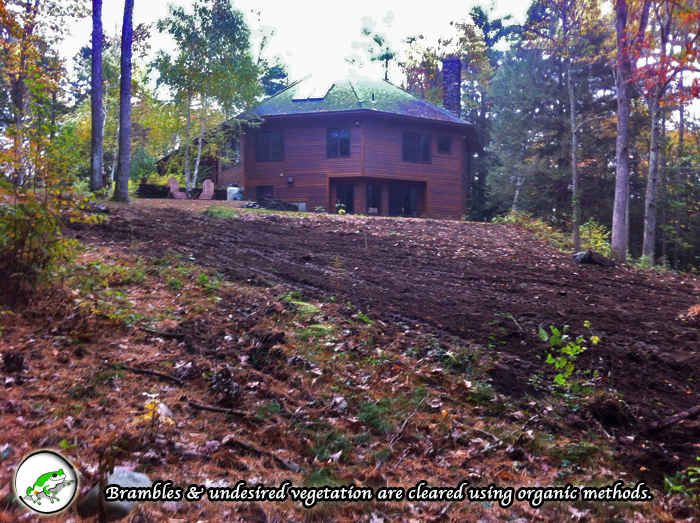 Now the house was almost swallowed in brambles. 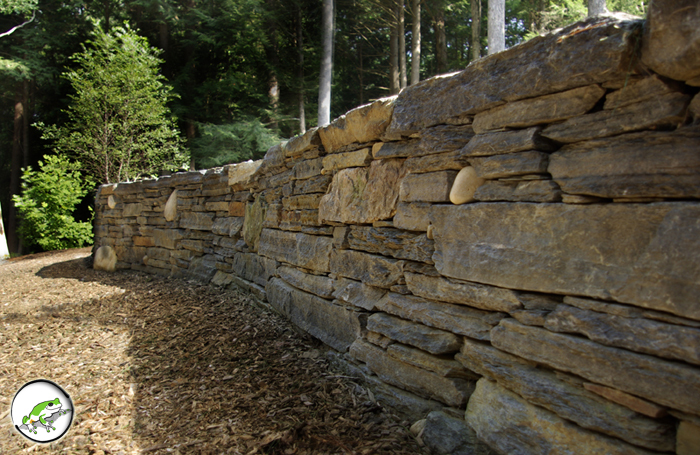 We worked to inventory the forest system and redefine the edge. 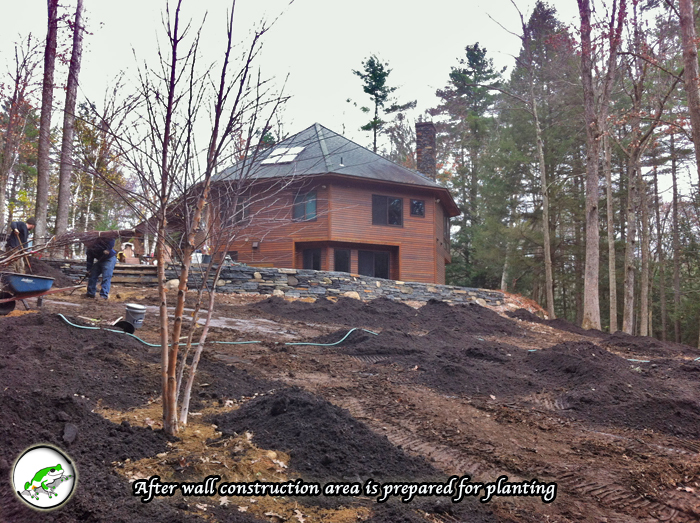 We created several large forest openings. 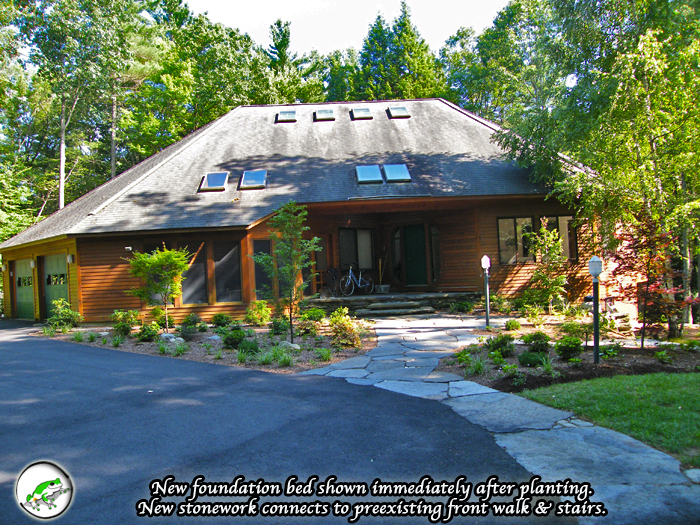 On the south side of the property this opening would be home to a small sun Goshen stone patio – perfect for early morning or the shoulder seasons. On the north side of the house another patio sits – ideal for the summer seasons. 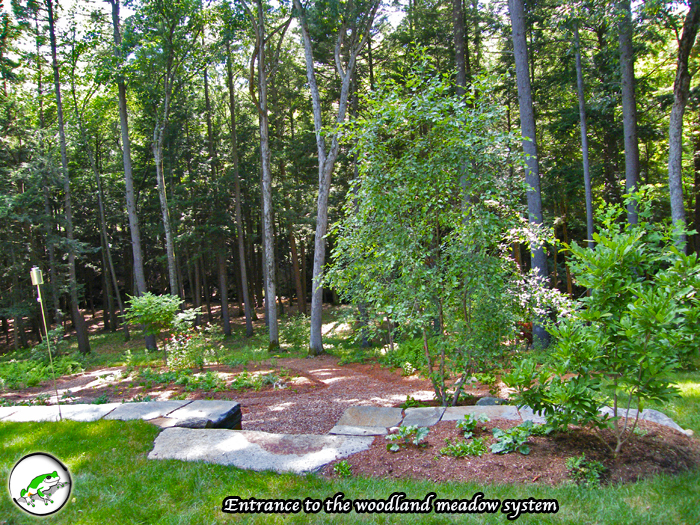 This patio overlooks a main attraction of the the design: a woodland meadow garden – emerging from the recent clearing of brambles. 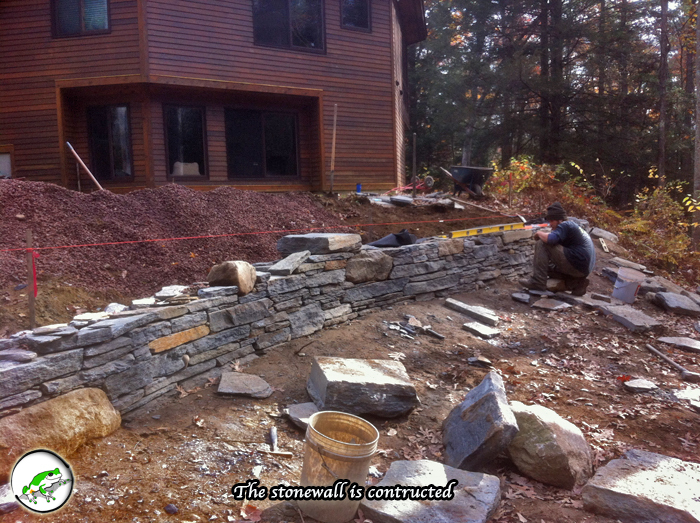 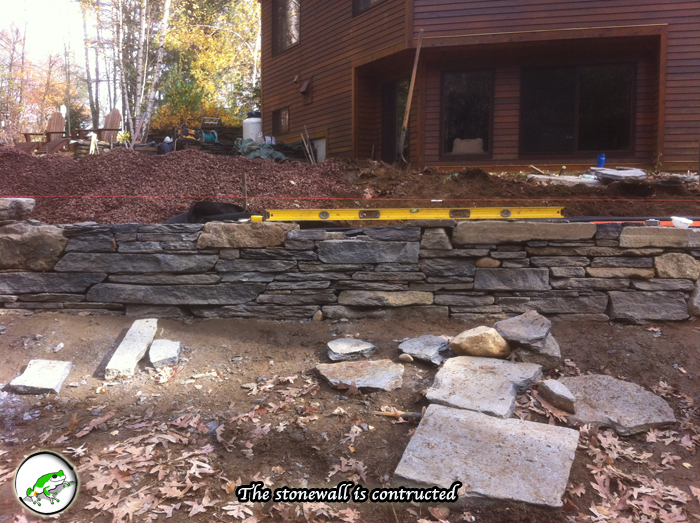 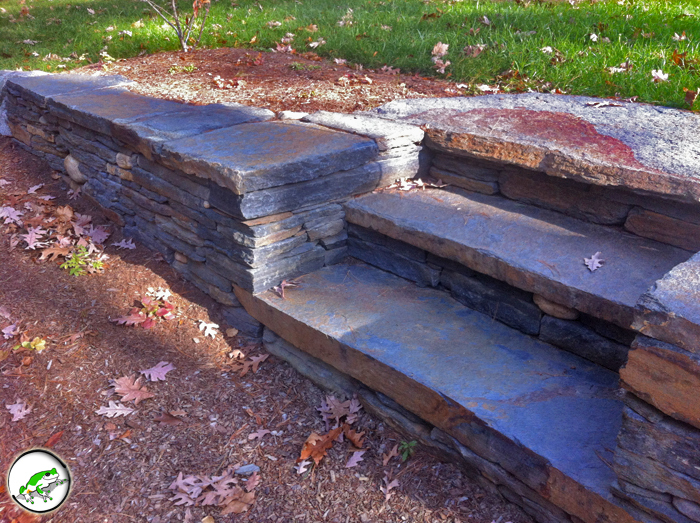 This system required a Goshen stone retaining wall be built. 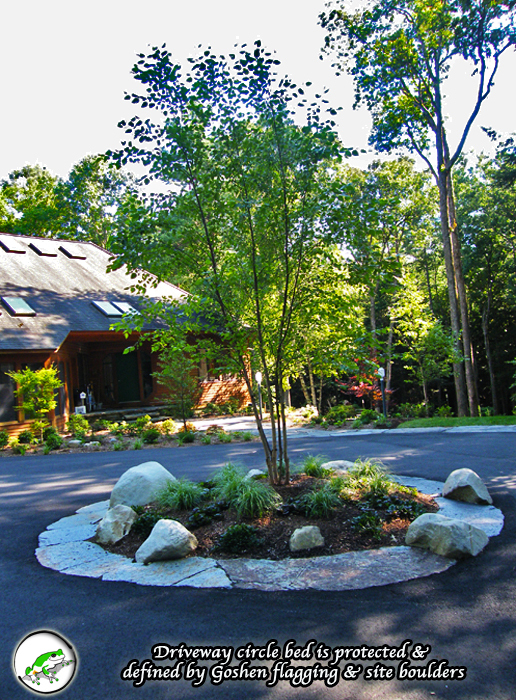 We installed an organic lawn area to create asoft terrace. 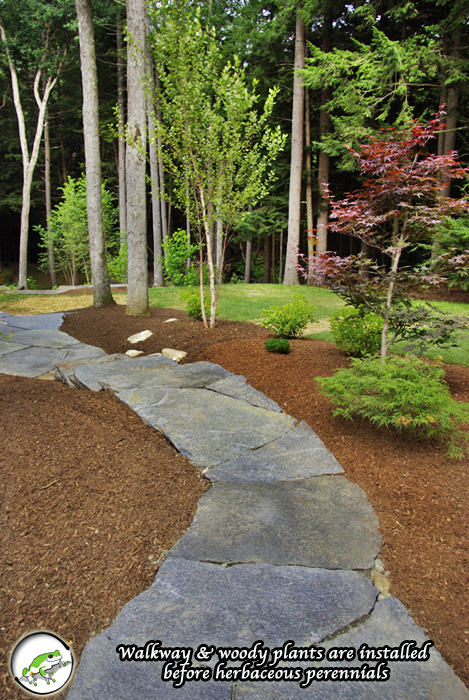 Paths meander through the garden and lead to the brook below. 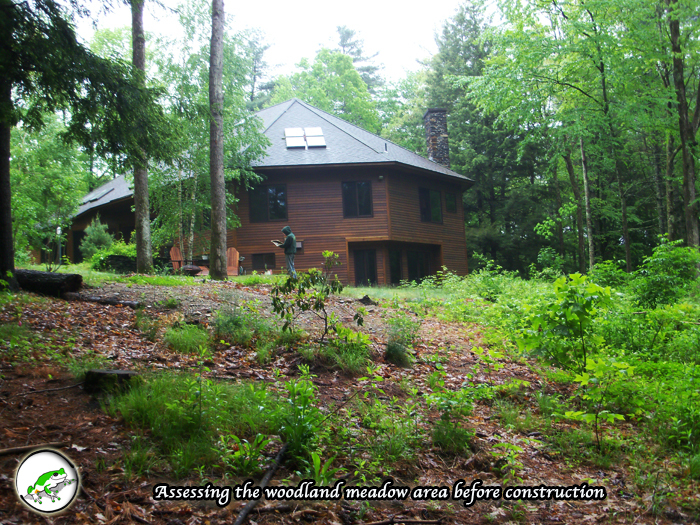 The forest floors were cleared and the site continues to mature and develop dynamically with endangered and rare forest species being planted every season. 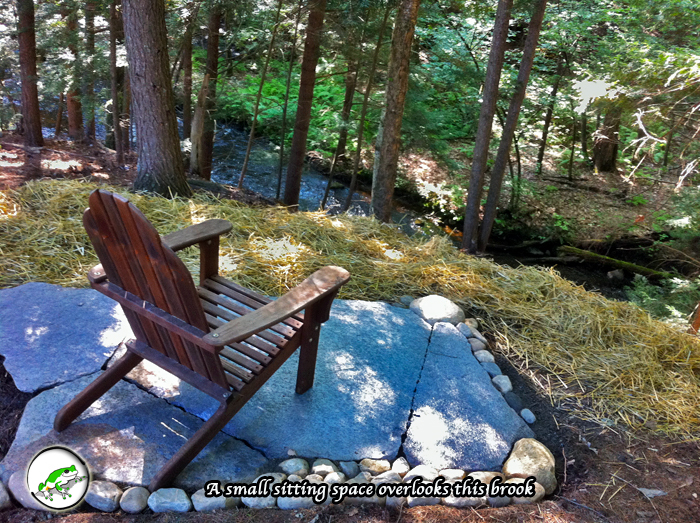 Under the Hemlock cover one can now walk softly along the water. 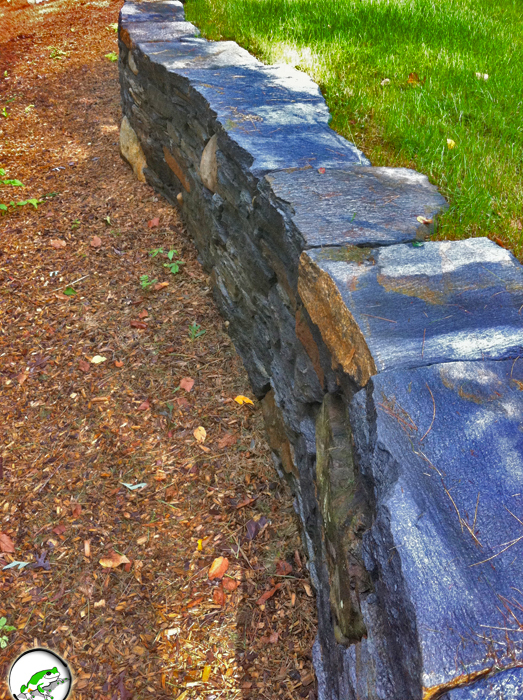 When it is time to sit, it is just as likely to find oneself on a stone patio as it is to be on a stonewall or the soft grass terrace.